New, innovative information-communications technologies (ICT) have emerged as key facets driving rapidly growing investment in and deployment of innovative solar energy technologies, business models and enterprising “green” energy organizations around the world. Blockchain, the peer-to-peer (P2P) network software underlying the Bitcoin “cryptocurrency,” and a growing roster of variants are now being assessed as a means of exchanging and distributing the emissions-free electricity produced by solar, wind and other environmentally friendly forms of renewable energy generation assets much more efficiently and at much lower cost. That’s particularly valuable as solar energy generation and battery-based energy storage systems (BESS) capacity continue to reach new heights and costs fall to, and in a growing number of instances below, the level of competing fossil fuel power generation worldwide. Solar Magazine was able to interview IOTA Foundation Member David Cohen, a US-based expert in distributed computing and digital energy, to gain insight into the attributes that distinguish IOTA Tangle from its blockchain cousins, and how it could dramatically enhance the sharing of locally produced solar energy, thereby enhancing returns on investment for solar energy producers, lower and substantially reduce energy costs for consumers and yield benefits for society as a whole. 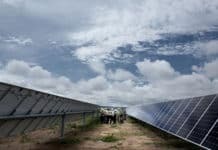 Wireless network sensors, unmanned aerial vehicles (UAVs or drones), new satellite remote sensing technology and low-power wide-area networks (LPWAN) are all being used to optimize production and performance of solar energy installations. 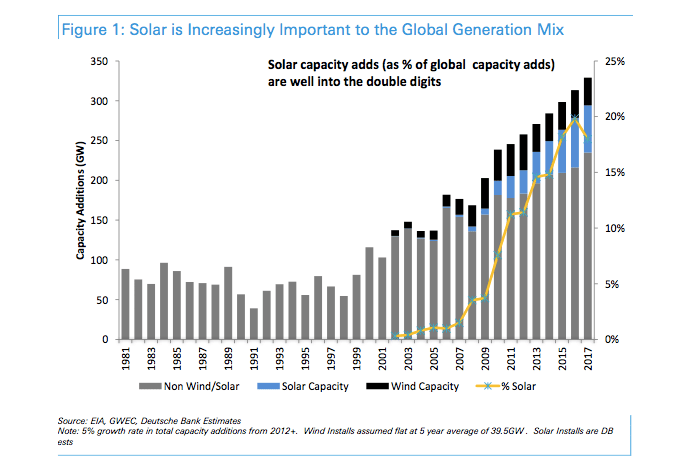 SEE ALSO: Can Software Help Drive Solar Power Competitiveness in Africa? On the software side, new cloud-based application and platform services that enable distributed “Energy Internet of Things” (IoT) machine-to-machine (M2M) communications and the use of “big data” sets to run predictive analytic and forecasting applications are making increasingly significant, beneficial impacts in terms of solar energy systems performance. Efforts on the part of energy and power sector stakeholders to capitalize on the advantages and benefits proffered by blockchain-based distributed energy trading and transaction platforms have cropped up worldwide in the past couple or so years, and they are progressing in terms of application diversity and scale, both geographically and with regard to computing power. For instance, the open source, blockchain-based Hyperledger Fabric is being used by members of a large public-private partnership to build NEW 4.0, a P2P electronic energy trading and transaction platform that project partners see as a means of lowering the costs and enhancing the ability to distribute and maximize use of the emissions-free electricity contained in northwestern Germany and Western Europe’s vast offshore wind power resources. 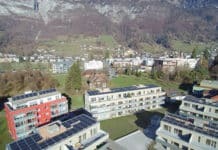 Founded by David Sonstebo, Dominik Scheiner and others, the IOTA Foundation is taking blockchain, distributed solar energy sharing a big step further. According to the organization, its Tangle “blockless” blockchain P2P network platform resolves two significant obstacles that have plagued blockchain-based trading/transaction platform developers: scalability and transaction processing speed and efficiency. Digital markets that rely on IOTA Tangle can deliver seamless, “frictionless” and zero-cost P2P trading, transaction processing and record-keeping without the need for intermediaries, IOTA says. That could unlock and help realize the unrealized full value of shared, local emissions-free solar energy assets. “IOTA provides a robust infrastructure that be can allow diverse DER [distributed energy resources] systems to be safely aggregated in both grid and non grid-interactive modes. 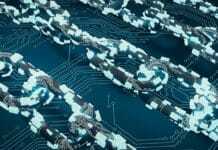 As well, IOTA is the only technology that will support peer-to-peer energy sharing and trading with no transaction fees, scalability, or availability issues,” Cohen told Solar Magazine. In contrast to Bitcoin and other blockchain-based P2P trading/transaction systems, IOTA Tangle processes transactions in parallel as opposed to doing so sequentially, harnessing the computer processing power of all available network peers. The result is fast, seamless and “frictionless” trading and exchanges at no cost to Tangle network peers, IOTA explains. “Peer-to-peer energy sharing using DER systems, including ‘solar plus storage,’ is part of a larger trend towards deployment and use of ‘transactive’ energy systems. IOTA provides a unique architecture that facilitates the micro-transactions that enable smart home and smart building nanogrids and microgrids to share and trade energy,” Cohen elaborated. Continuing, Cohen explained that “the main ingredient of IOTA is the ability to create highly scalable P2P energy sharing and trading platforms with zero transaction fees. That’s mandatory when it comes to supporting transactive energy systems.